This is part of a series of articles in the run-up to the Budget on November 22. As the first Autumn Budget approaches we are reminded of the last three times a Tory chancellor dusted off the Red Box. In 2015 we saw a u-turn on tax credits, in 2016 a u-turn on personal independence payments and in 2017 a u-turn on national insurance for the self-employed. The chancellor has less headroom than once anticipated, with the Office for Budget Responsibility slashing its forecasts for productivity. Although he is unlikely to do so, Phillip Hammond has the chance to reset British economic policy and solve the productivity crisis once and for all. One way of doing so would be to take advantage of historically-low interest rates and borrow to invest in Britain’s infrastructure. The fact that this is even being considered by the Tories, as emphasised by Sajid Javid’s apparent recent conversion to Keynesianism, is a signal of just how much Jeremy Corbyn has shifted British politics. In 2015, it was Labour who was considering whether it was an anti-austerity party – it 2017 it is the Tories. 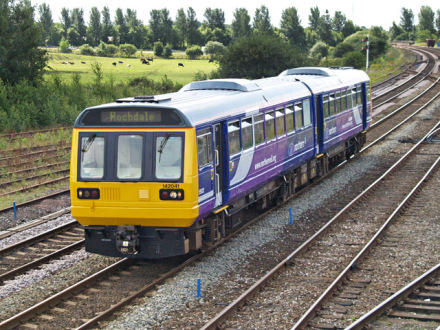 A “new deal” for British infrastructure would mean investment for transport in the north of England, which has been let down by Westminster for too long. Crossrail 3 could open up new possibilities for the great cities of the north and make our transport system more efficient. It would, in turn, improve productivity. Similarly, investing in housing in London and the south east would go a long way in tackling the country’s sluggish productivity. This is because London is the country’s most productive region, but the cost of housing is pushing people into jobs that are less productive, or encouraging lengthy commutes. In addition to physical infrastructure, productivity could be enhanced through investment in skills. Whilst the government’s proposals for “T-levels” are welcome, they don’t go far enough in overhauling technical education. For too long, the denigration of vocational education has held the country back, and in turn, restricted productivity. As well as investment, stronger workers’ rights are integral in tackling Britain’s productivity crisis. Britain has some of the weakest worker protections in Europe and labour market reforms are urgently required. The government should take the opportunity of the Budget to clarify Theresa May’s plans for workers on company boards. This would make it easier for companies to gauge the opinions of the shop floor on how to improve their productivity. In the same vein, increasing rights for self-employed workers, banning exploitative zero-hours contracts and repealing the anti-trade union legislation would have the same benefits. The past 10 years have seen the slowest wage growth since the Napoleonic Wars, the most stark consequence of our lagging productivity. Often taking the chance to boast of the government’s phony “living wage” at tge despatch box, Hammond should take Labour’s advice and implement a £10 living wage to tackle the scourge of low pay in 21st-century Britain.